Delivery from £16.27 to United Kingdom in 6 - 10 working days. Etna Mini is a collection of candle holders, ideal to give any environment a splash of light and colour. Etna Mini is a collection of candle holders, ideal to give any environment a splash of light and colour. 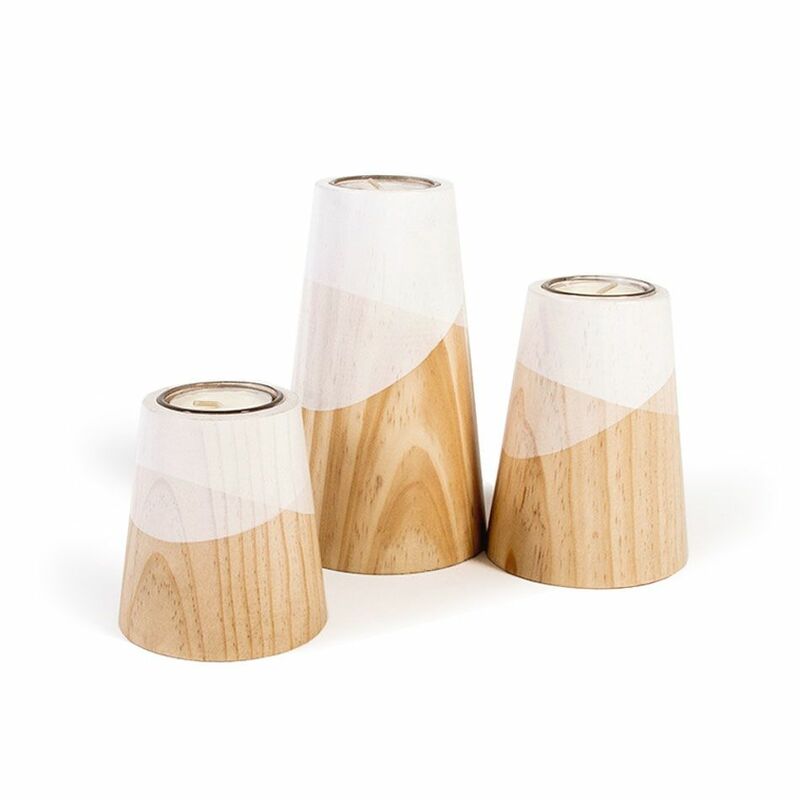 Its simple and clean lines come from a conical shape made of solid pine wood. At the top are curves which evoke lava flows gliding down the slope of a volcano. This colour highlights the natural shades in the wood thanks to its translucency. This collection is available in three-piece packs and in a six colour palette. Our products focus on finding the delicate balance between minimalist construction and elegant design. Essentially versatile furniture designed to live in harmony with people, creating warm, distinctive and timeless spaces.